The CDA-118M is designed for full operation in your boat. 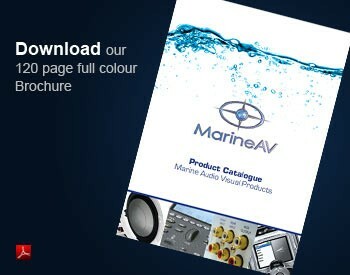 The CDA-118M comes in a 1.8 DIN faceplate size, for an easy upgrade for standard marine head units. This unit features a large 2-line LCD screen, viewable in direct sunlight. Skip-resistant CD mechanism ensures continuous playback while you're on the waves. The CDA-118M is fully IPx5 waterproof and salt fog/UV certified. EEPROM no-loss memory, ensures even when the boat is not in use and the battery is disconnected, all your radio presets, zone controls, sound adjustments will stay intact.